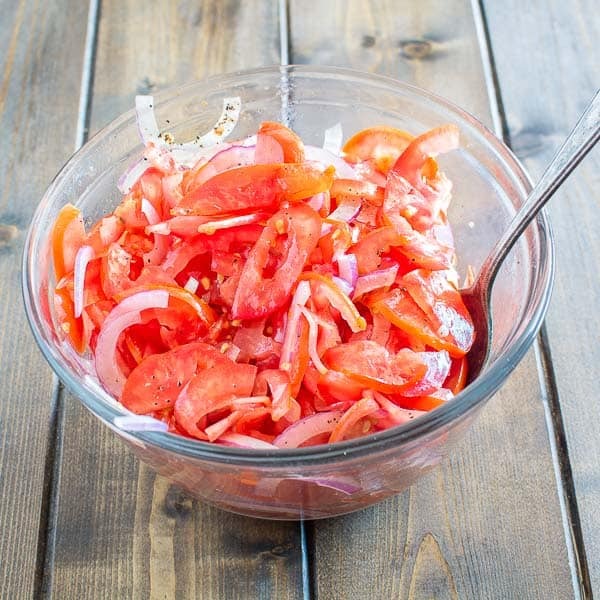 Absolutely scrumptious and so simple to make this Perfect Tomato Salad makes a great side dish to almost any meal. 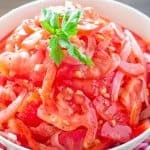 Save this fresh, healthy, low-calorie Uzbek tomato salad recipe, because you’ll want to use it again and again! Many years ago I used to work as a server in a restaurant called “Uzbekistan.” It was a small, family-owned establishment where the owners really loved to share the recipes for the best food Uzbekistan had to offer. 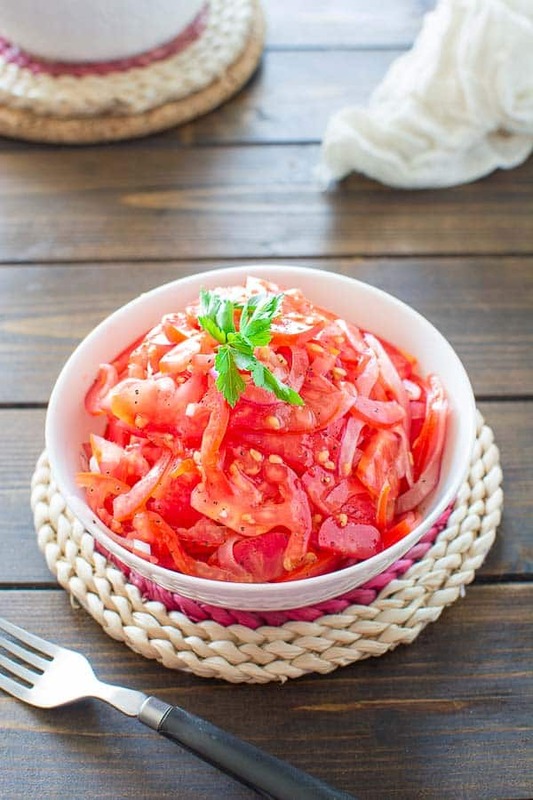 I learned how to cook their famous Uzbek Pilaf there, but, more importantly, I learned how to make this Uzbek Tomato Salad. They call it Achuchuk and it is very popular in Uzbekistan. 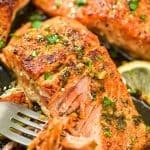 Today, I am sharing this recipe with you, and I am sure you are going to make it more than once. To make a PERFECT Tomato Salad, you’ll need to get the best tomatoes. Best place to find fresh and flavorful tomatoes is your garden. 🙂 If you don’t have one, you can still find good tomatoes at the farmers market or your local grocery store. When shopping for tomatoes, look for bright colors, plum skin and aroma. Yes, tomatoes should be fragrant, which indicates that they were ripened by the sun. If they have no aroma at all, the tomatoes were probably picked when immature, and they are lacking sweetness and flavor. Check out this Guide to Picking the Best Tomato at the Grocery Store for more info. 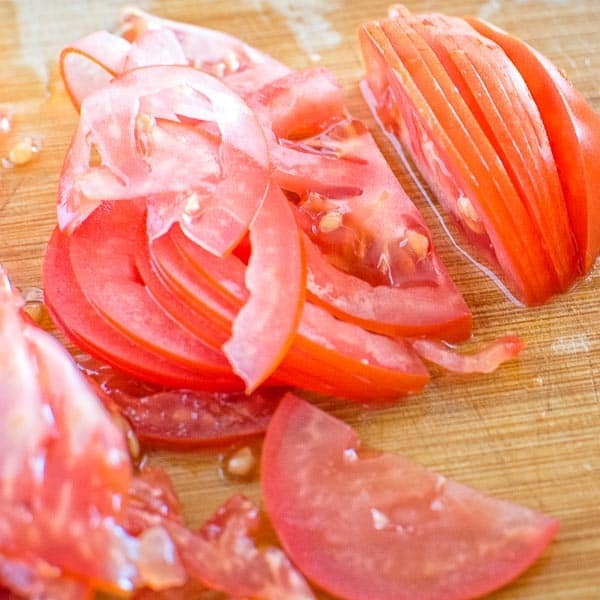 The trick to making this Perfect Tomato Salad is using a VERY sharp knife. You must slice the tomatoes and onions as thin as possible. 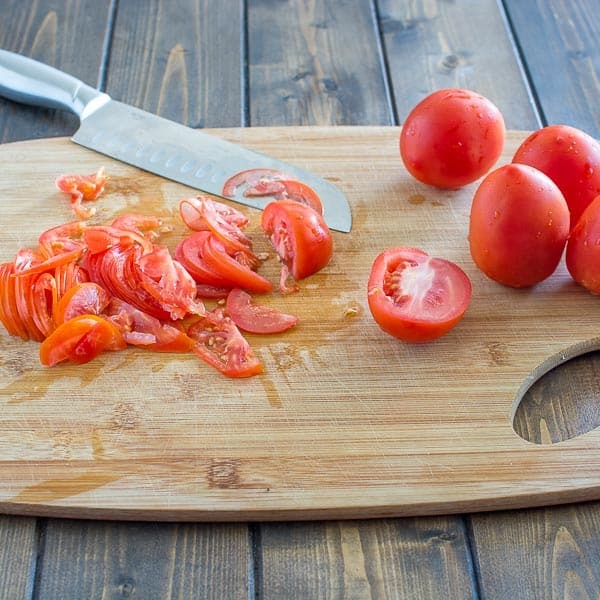 If you use a dull knife, you are just going to smash the tomatoes and squeeze all the juice out. So, make sure you sharpen your knife before starting to make this salad. If you don’t have a good knife sharpener at home, now it’s time to get one!!! There is nothing worse, than chopping and prepping food with a dull knife. My husband is crazy about this Professional Knife Sharpener for Straight and Serrated Knives. 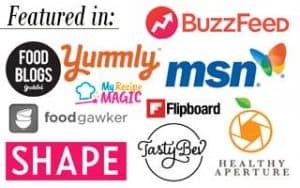 Check it out, it is very easy to use. OK, now, that I got you all excited about this tomato salad recipe and shamed you for not having sharp knives at home :-), I think it’s time to start cooking! 1) Cut the tomatoes in half and slice into very thin pieces. 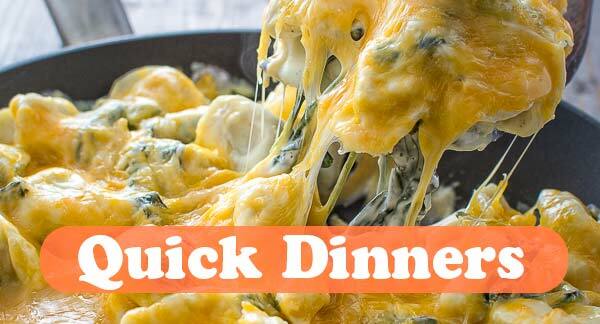 2) Repeat this step with onion as well. 3) Place the veggies into a medium mixing bowl and add the rest of the ingredients. 4) Mix everything well. I think it’s best to use your hands to gently mix the salad, but spoon works too. That’s it! 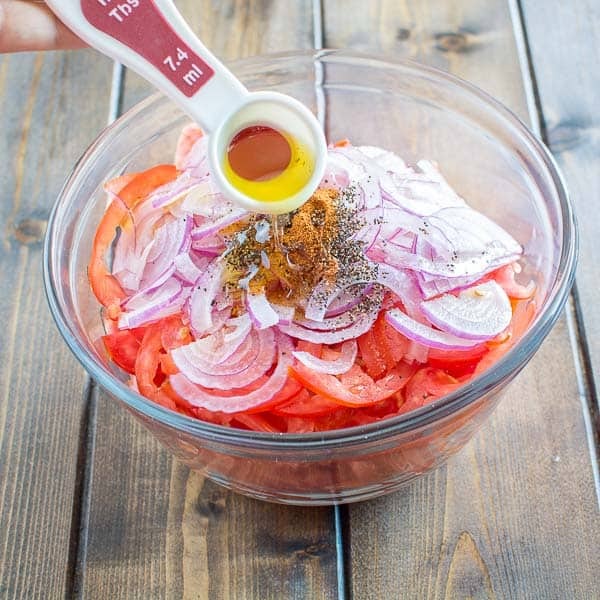 The Perfect Tomato Salad is ready. 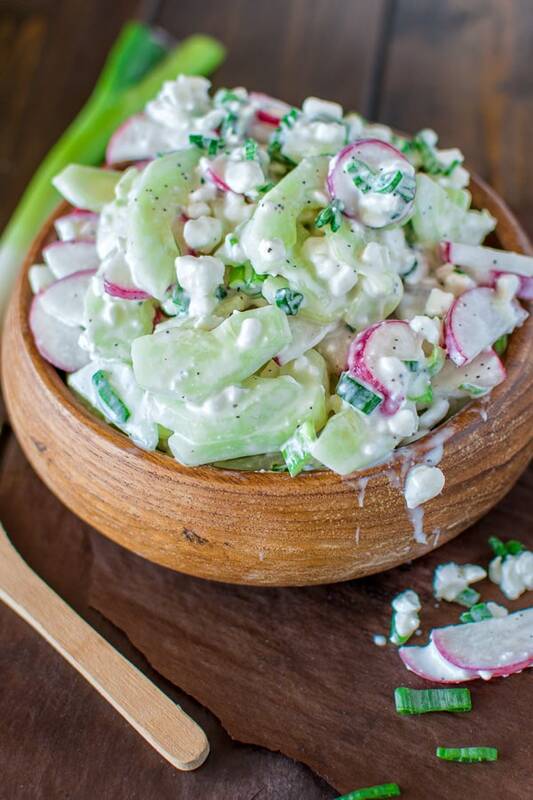 Super fresh, packed with flavor and nutrients, there is no wonder why Uzbek people love this salad so much. 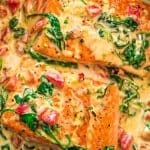 Serve it with rice, potatoes, grains or just a slice of fresh bread. Enjoy! 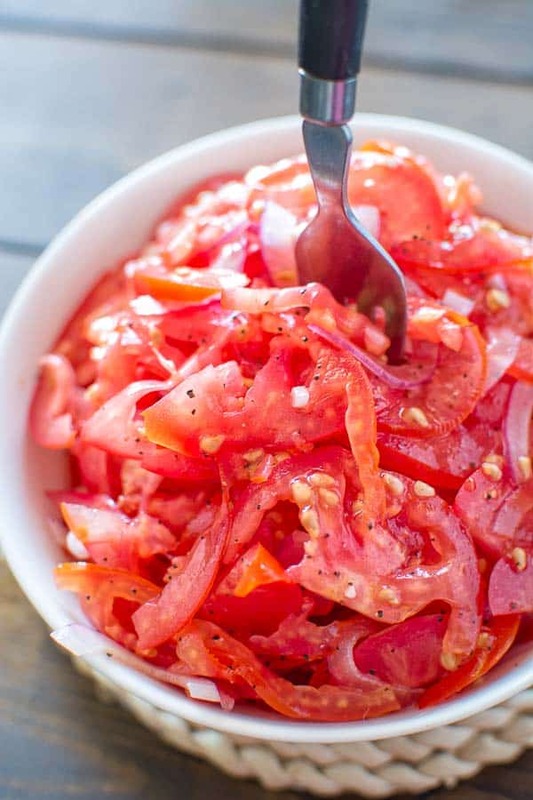 Absolutely scrumptious and so simple to make this Perfect Tomato Salad makes a great side dish to almost any meal. 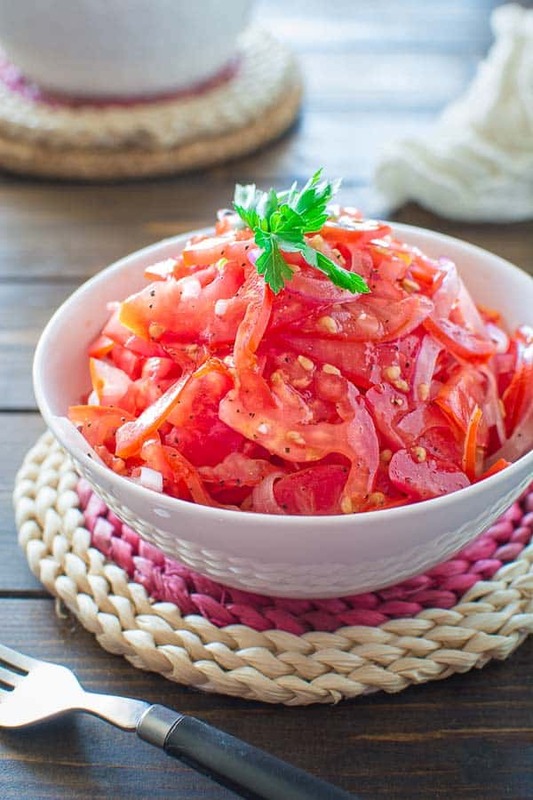 Save this fresh, healthy, low-calorie Uzbek tomato salad recipe, because you'll want to use it again and again! 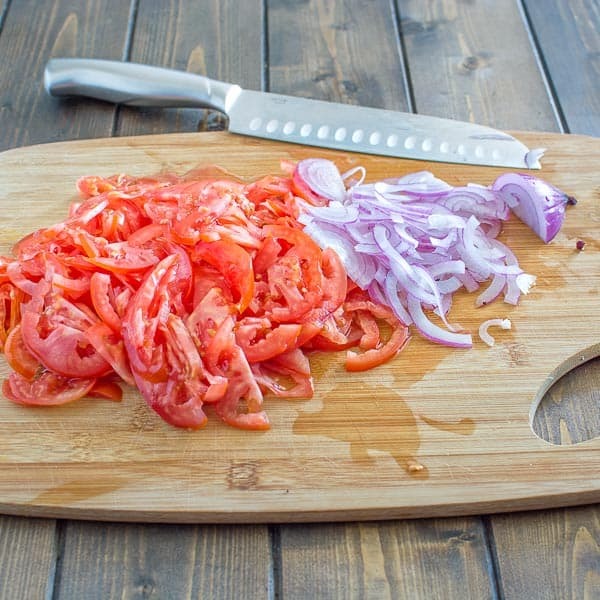 Cut the tomatoes and onion in half and slice them as thinly as possible. 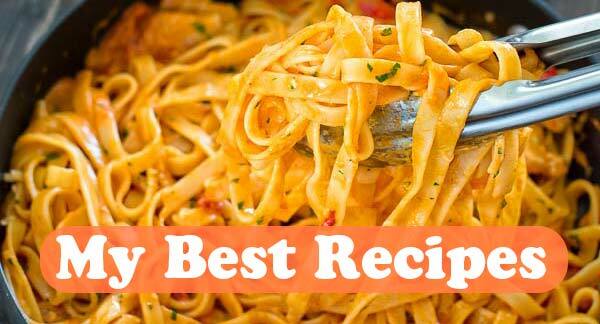 Place the vegetables into a medium mixing bowl and add the rest of the ingredients. Stir. 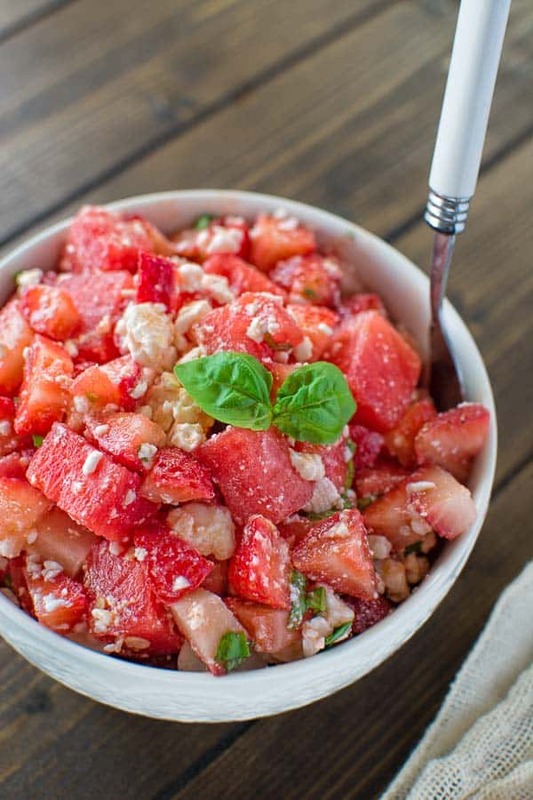 Very tasty and refreshing salad! 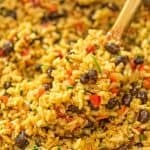 Will you share the recipe for the Uzbekistan Pilaf? 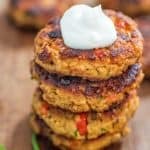 Easy Peasy and perfect for summer! 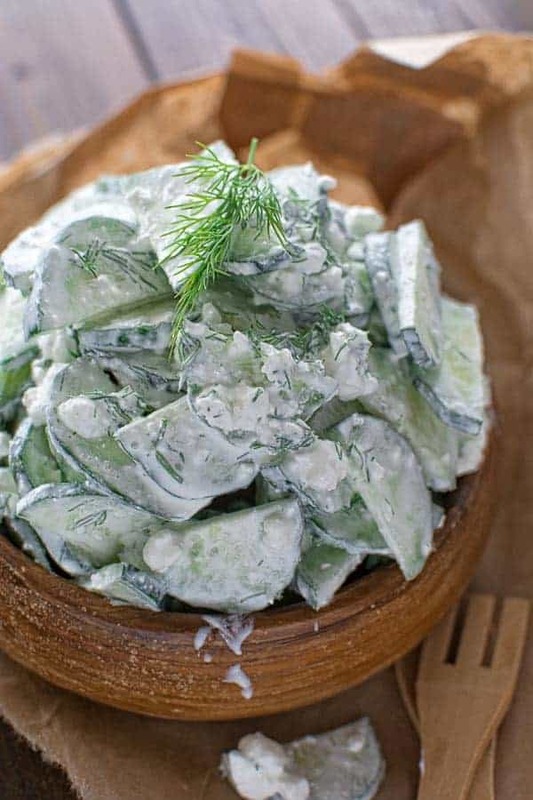 I also make this salad but I add dill and garlic, and sometimes a tsp of mayonnaise! What gorgeous light on that first photo! 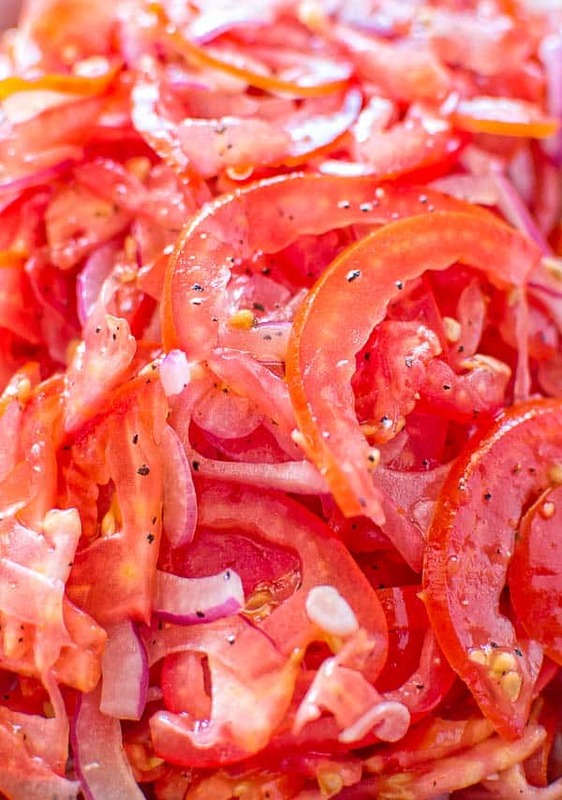 We make tomato salad all the time, but I never tried slicing the tomatoes and onions so thinly. I’m intrigued. 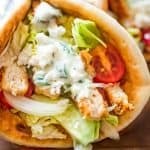 I love seeing how various countries prepare similar dishes, with their own twist. Hope you’ll give it a try! Thanks, Andrea! I was just wondering what to do with all my garden tomatoes. I’ll have to sharpen my knife for this one! Yep. You’ll need a very sharp knife, Erica! Enjoy! We are waiting for the tomatoes in our garden to turn red! 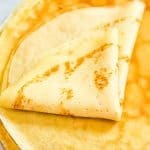 Once they do, i am making this!